Dana Basinger grew up in Birmingham, Alabama. She received her Bachelor of Arts and Master’s degrees in English from the University o fAlabama in Birmingham. She always knew she wanted to teach, and she felt she couldn’t take a position that did not involve working with students in the energizing environment of the classroom. One of the things she loves most about teaching is forming relationships with her students. Basinger believes incorporating service learning into her Communications Arts and Foundations classes makes teaching not only more meaningful for her, but more meaningful for her students as well. Before coming to Samford, Basinger worked as an adjunct instructor of English at the University of Montevallo and as an English teacher at Homewood High School. 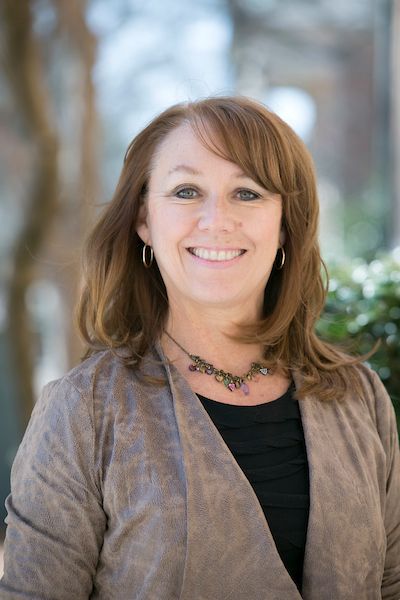 At Samford, she has served as Director of Freshman Life and Assistant Dean for Howard College of Arts and Sciences. In her current position, Basinger is available to help her students as much as possible. She enjoys that role and hopes to continue to be a “go-to” person for students. Basinger believes that the most important thing in teaching is helping students everyday to understand why they are here, and why they are doing what they’re doing; helping them realize their purpose in even the smallest of things. “Instructingthe Instructors: A Three-Pronged Approach to FYE Course Instructor Training.” Presentation at 26th Annual Conference on the First Year Experience, Dallas, TX, February 2007 with Lori Brand Bateman.